With 20 projects completed, we’ve made impressive progress on the SSH priority list. A strategic approach focusing on the 70+ remaining projects with the highest return on investment has delineated nine projects due for completion in 2019 as well as the outline for a robust 5-year plan. Meanwhile multiple projects are in the planning stage for 2020 - 2021. 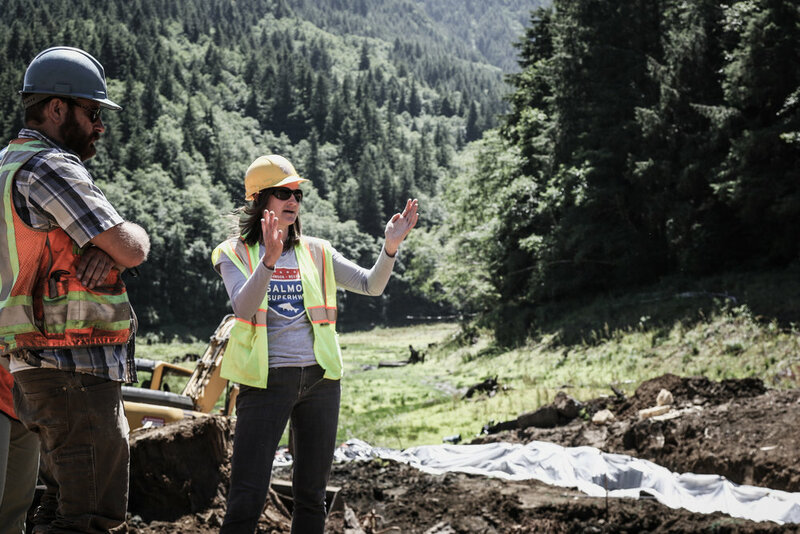 Recognizing the importance of the partnership and project, the Joint Chiefs Landscape Restoration Partnership awarded the Salmon SuperHwy over $1 million in funding over three years through US Forest Service and Natural Resource Conservation Service. This funding supported survey, design, technical support, project construction, monitoring, and forest management. The Salmon SuperHwy serves as an example of how private landowners and local, state, and federal partners work together to accomplish conservation and management goals. Beginning stages on the Skookum Dam project. Collecting and transporting stream inhabitants during construction on Jewel Creek.